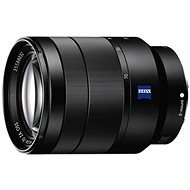 This is a unique fixed focal length lens. Its main advantage is brightness of F1.4, which is basically the highest level that can be achieved with regular lenses. The brightness comes hand in hand with a number of characteristic features. It will shoot even in unfavourable light conditions. You will achieve very short exposure times, which are important especially for capturing dynamic action. 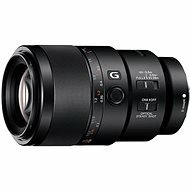 And it will also precisely focus even in low-light situations, without requiring extra illumination. With 52.5mm focal length (equiv. 35mm), it mimics the natural human eye field of view. The range of its use is thus very broad. It is an excellent all-round lens, which will help you to capture the ideal shot in all different circumstances. Its parameters make it perfect especially for portraits and fashion, artwork and still life photography. The high luminosity does not force you to use artificial light, so the lens is thus also great for shooting in natural light, which will help you to capture the unique atmosphere of the place in your picture. 510 g (510 g) Done! 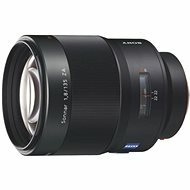 For shipping to other EU countries visit this page Sony 35mm F1.4. Für Versand nach Deutschland, besuchen Sie bitte Sony 35mm F1.4. Chcete doručit zboží do Česka? Prohlédněte si Sony 35mm f/1.4. Chcete doručiť tovar na Slovensko? Prezrite si Sony 35 mm f/1,4. Magyarországra történő kiszállításért tekintse meg ezt a termékoldalt: Sony 35 mm F1.4.